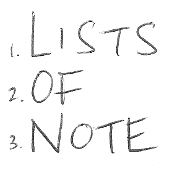 Welcome to the Lists of Note archives — current population: 64. 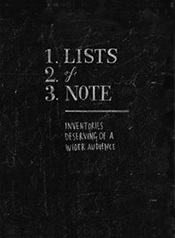 At present, this archive page consists purely of a chronological list of the lists listed on Lists of Note. 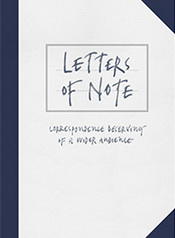 This will change as more lists are added, to the point where it will hopefully resemble the archive page at Letters of Note. 13th: Alias for trip to Paris? Helena?